INSUNG's ISHL/RL Series provides incredible cycle time reduction & machining accuracy in various applications of metal cutting. Its powerful cutting strength harmonizes best with delicate heavy duty metal works like Windmill Main Shaft, Ship Engine Crank & Propeller Shafts. 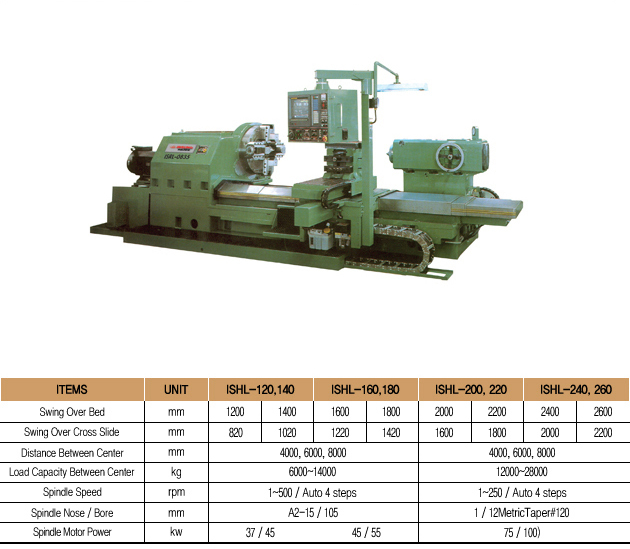 Tailored special purpose machines for Roll Machining & Section Steel for Steel Mill are examples having delivered high productivity & machining accuracy unprecedented ever.